Our product will be sold as a kit. One wheel will be used to replace with the one of the 4 or 5 wheels on the skate, skate board, cross county skiing etc. Our product is functional, simple to use, Makes the sport easier and safer. For starting rapidly on our skates the child or adult would have a sure footing to push off on. Originally we were thinking about our little children and how they get injured on their skates because the skates can go forward or backward. Our wheel allows the child or adult to (help) stand without tripping or falling. It also allows them to walk up some inclines with little Danger of rolling backwards. Our wheels are designed with a one-way motion. 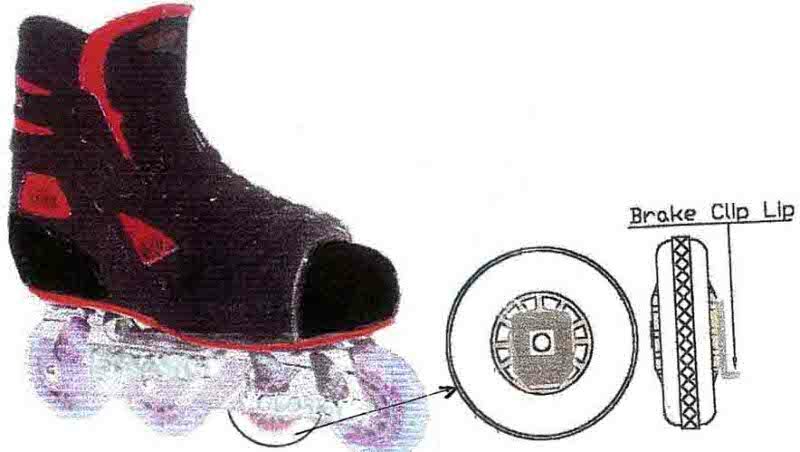 There have not been many changes in the skate since the inline skate; Super Fly Wheel will change that. We have (Super Fly Wheel) hot products for demand purposes in the free market with long life planes. They will generate High Profit Margins without end user Resistance. Remember this is a kit and there are millions of skaters out there that will buy it once they see what it can do and how it feels. Our product will fill a need and is useful. It has unique consumer appeal and the construction is practical and cost effective. The experienced professional skater and artistic roller dancers can achieve new standards of excellence never reached before now by mixing our wheel with other sizes. Our wheel is equipped with a precision bearing called a roller clutch and is the most sophisticated bearing used in a skate, it also is the fastest bearing Max. RPM 14000. Our millennium wheel has a Start-Stop grip 1/4 (.250) strip designed on the (O.D.) outside diameter. The strip is .050 high, when the strip wears off you have used .100 thousands off the O.D. this indicates you are losing surface speed. And it is a good idea to change wheels. The engineering and wheel design, packaging are complete. 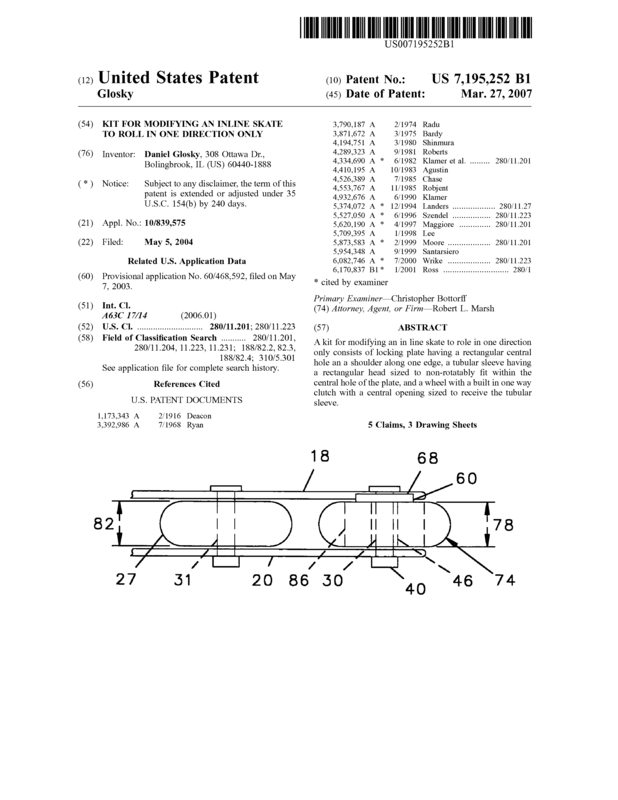 Page created at 2019-04-25 18:24:39, Patent Auction Time.